Adams, being a liar yesterday. 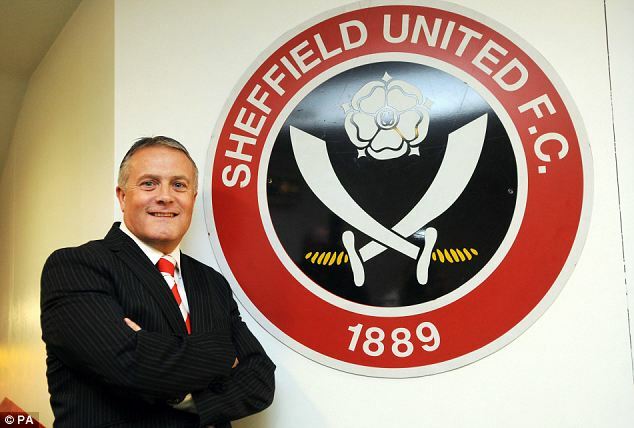 Following Sheffield United’s latest defeat – a 3-2 reverse to fellow Championship strugglers Scunthorpe United – it has been dramatically revealed that so-called lifelong Blades fan Micky Adams is actually a Sheffield Wednesday season ticket holder. United are edging ever closer to League One thanks to some of Adam’s more baffling managerial decisions. With the Blades 2-0 up at Glanford Park, Adams threw on three substitutes that immediately sabotaged his side’s chances of three points. First came the replacement of goalscorer Richard Cresswell with Marcus Bent, making another disappointing appearance for his 52nd professional club, and his tenth under Adams. Bent was later dismissed for trying to insist he was a Premier League quality player by sewing patches onto his shirt whilst in an offside position. Nyron Nosworthy was then swapped out for Sean Bean, the veteran actor and Blades fan displaying none of the form that saw him shine in When Saturday Comes – although he did manage to charm the female assistant referee with his brusque Northern wit and quotes from Lady Chatterley’s Lover. The final straw – at 2-2 – was replacing reliable goalkeeper Steve Simonsen with a large portion of chips and gravy. After peppering the Yorkshire snackfood’s goal with countless shots, Scunthorpe managed to score in the final minute and United left the pitch to a chorus of boos. Ched Evans ate the chips and gravy. Suspicion regarding Adams was already starting to rise following decisions this evening and previously (keeping Mark Yeates on the bench, underusing Daniel Bogdanovic and signing Marcus Bent) but they were finally confirmed when he was seen changing into a blue and white Wednesday shirt, doing a Klinsmann-like slide on the Glanford Park pitch and screaming “nice one, suckers! See you next year!” at his defeated team in the changing rooms. Adams did not leave with the rest of the team. He swivelled his head around 360 degrees, hooted and was last seen on a fencepost next to the M18, coughing up pellets of small animal bones and fur.